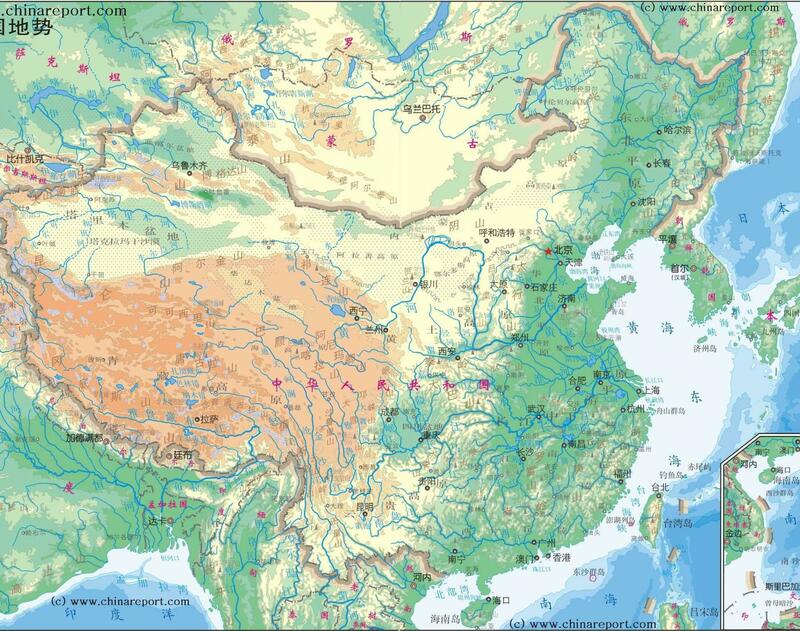 The below Map gives a clear overview of The Peoples Republic of China and neighboring Nations of Central, East and South-East Asia with National Borders and Capitals. Nations are India, parts of Pakistan, parts of Afghanistan, Tajikistan, parts of Kyrgyzstan, parts of Kazakhstan, Eastern parts of Russia (Russian Federation), Republic of Mongolia, North Korea, South Korea, a small part of Japan, the Himalayan Nations of Bhutan, Sikkim (India), Nepal, and the South-East Asian Nations of the Philippines, Vietnam, Laos, Cambodia, MyanMar (Burma) and Bangladesh. Map includes names of all Capitals of all 22 Chinese Provinces, Five Autonomous Regions (Inner Mongolia, Ningxia Hui, Guangxi Zhuang, Tibet AR not to be mistaken with the historic Nation of Tibet, Xinjiang Uighur), Two Special Administrative Regions (Hong Kong & Macau) and Four Municipalities (Beijing, Chongqing, Shanghai, Tianjin). Please browse this Map and follow the Links to Navigate The Peoples Republic of China, Taiwan and Locations !! Please Browse around the Map to Identify the Provinces and Autonomous Regions and locate the Capital Cities, Mountains, Rivers and other Geographical features of the Nation, as well as the wider Regions.